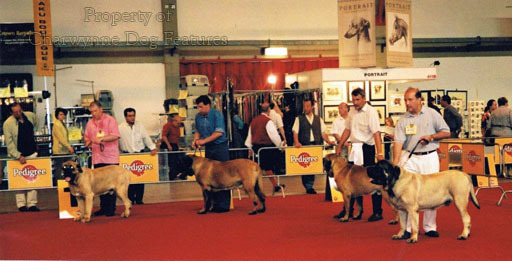 The term 'world class' is so often the ultimate superlative but sadly there wasn't much world class about the 1996 World Dog Show, staged simultaneously in two countries. It was comforting to attend however, not because it was comfortable at either show venue, but because it made me realise how much better organised our own dog shows are. An international show should be bigger and better than Crufts; neither of these were. The first half, in Vienna, could have been described as a show for Austrian pet dogs. The second, in Budapest, could have been described as a show for distressed dogs. It was very hot at both locations, exposing both the facilities and the lack of common sense of many exhibitors. 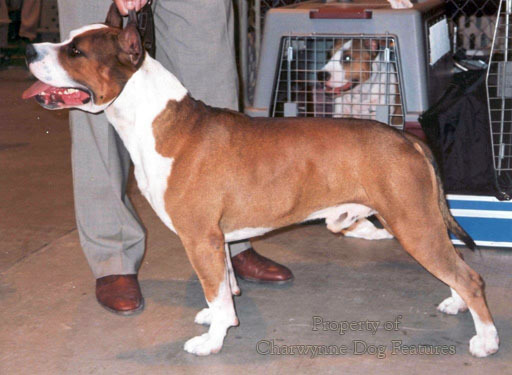 The exhibitor who continued to show his Bulldog in later classes after it had collapsed in the ring, leading to the show vet carrying his wretched dog off for resuscitation, should be banned for life. His dog could so easily have lost his. (Two Schnauzers did die in a camper-van in the car park.) It was deeply distressing to witness and did not arouse the public anger which it deserved. Far too many exhibitors at dog shows are exhibitors first and dog-lovers a poor second. Such stupid callousness undermines all the work of honourable caring owners and discredits the whole dog show scene. 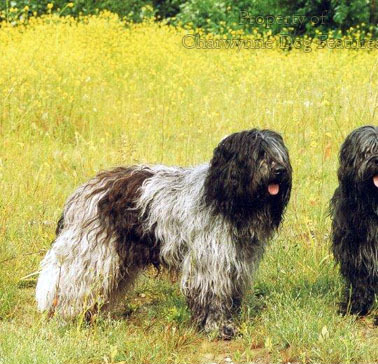 In Vienna, there were many exotic breeds, little known in Britain but mostly of doubtful quality. 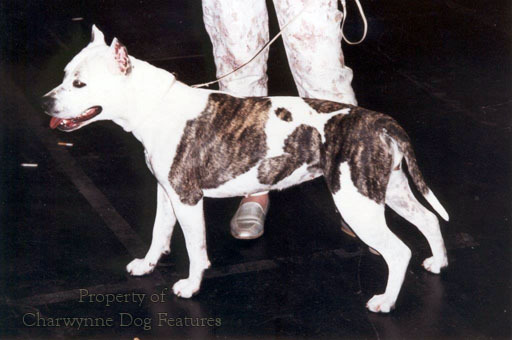 The most impressive breed by far was the American Staffordshire Terrier, banned here by type if not proscribed by breed. With no sign of aggression, they were the fittest dogs on show, with quite admirable movement. 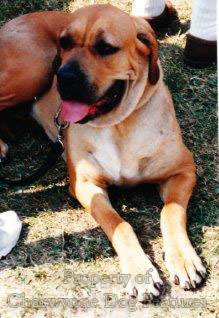 The simply dreadful specimens of our Mastiff breed in the rings made me wince; why do some Mastiff breeders hate dogs? In any breed, in any country, to produce, as a deliberate act, an animal which cannot walk with comfort, move with ease, see through healthy eyes and enjoy a natural life span, is a betrayal of our alleged superior intelligence. 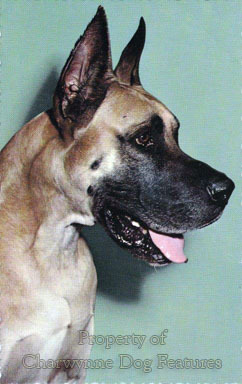 The German Mastiffs, our Great Dane, were of high quality and seemed to have more substance than ours. The best behaved dogs were the Japanese Tosas, the Filas Brasileiro and Dogos Argentino, all banned here. The worst behaved were the terrier breeds originating here. It was good to see once again the unusual (i.e. 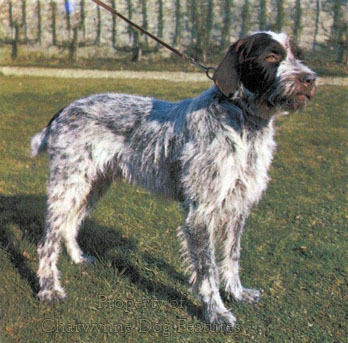 to us) breeds I had come across whilst working on the Continent: the smaller Munsterlander, the Stabyhoun, the Lagotto, the Langhaar, the Braque Saint-Germain, the Korthals Griffon, the Entlebucher and the Dutch Beardie, the Schapendoes. But I am strongly against very young pupies being taken to shows. There were several Schapendoes puppies in a cage at the equivalent of our 'Discover Dogs' section. There was a six or seven week old Bullmastiff puppy at the Vienna show, understandably ill at ease in the heat and bustle. There were at least a dozen exhibitors selling very young puppies from the backs of their cars in Budapest, clearly having driven a long way with them. Such a practice must be stamped out by show authorities in every country or dog shows will forfeit their standing. It was depressing to see so many indifferent specimens of our native breeds at these two shows: Irish Setters with no power in their hindquarters, overweight Labradors with Rottweiler heads, Cocker Spaniels with upright shoulders, Golden Retrievers with untypical heads, West Highland Whites with strange round heads, Staffordshire Bullterriers with extremely short dainty little legs and English Springers resembling Welsh Springers in a liver and white jacket. Twice I had to ask a Bullmastiff exhibitor if his dog was a Mastiff or a Bullmastiff. 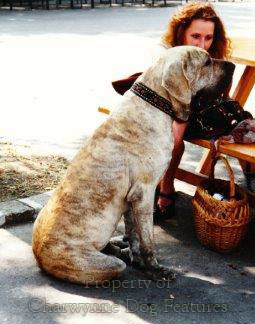 The Germans, allegedly, desire their Bullmastiffs to be not just big but "the bigger the better"; the breed standard however does not. To put a big breed in a show ring only ten metres square is bad planning and poor breed management. 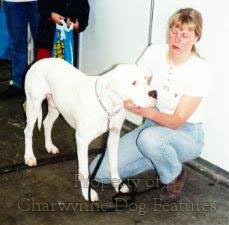 For the Dogo Argentino to be expected to display sound movement on a bed of very loose gravel, as happened in Budapest, is surely unacceptable. To find each water point a quagmire, as happened in Budapest, is tiresome for the better-dressed exhibitor. For a show with this title to run out of catalogues on Day 1, as happened in Vienna, is disappointing. To get information on both show venues well in advance was all but impossible. For a catalogue to omit which rings the breed classes are being held in is inexcusable. On the plus side there were no queues for the lavatories! I do hope one of our many Kennel Club Committees is studying these so-called World Dog Shows. 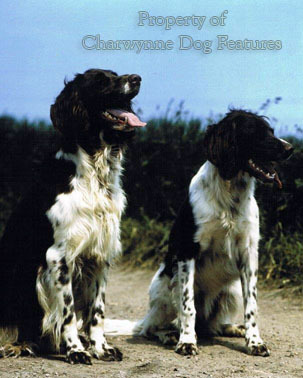 Having seen the Brussels show in 1995 and now the split-venue 1996 shows, I am concerned about the low level of organisation, the strange administration, the over-rated standard of the dogs themselves and the bizarre judging. Our quarantine laws no longer satisfy any rational analysis and a world show could be heading our way. Crufts is fast becoming unacceptably overcrowded and if held in the summer would be intolerable in its current location. A racecourse or agricultural showground, with marquees, would probably make a better venue for the dogs, if their welfare is to be part of the equation. This latter aspect is one now needing attention from all show secretaries. The hot weather in Vienna and especially in Budapest caused great distress to a large number of dogs, some breeds more than others. Some owners take infinite pains to protect their dogs from heat exhaustion; others, sadly, care less. We are getting to the stage, entirely because of human callousness, where unless a dedicated dog-welfare officer is appointed for each show, then an outside body will do so from sheer need. It is becoming increasingly obvious to the general public that a sizeable proportion of dog show exhibitors are not fit people to be in charge of dogs. We all get upset when a pug is found dying in an overheated car at a show. We strongly disapprove when a poodle gives birth at a show. We get cross when we read of a Dobermann exhibitor kicking a runaway Scottie or a Flatcoat exhibitor kicking her own dog. I was told recently of a Bullmastiff that gets beaten up on the way to a show so that he 'behaves in the ring'. The exhibitors who do these things are not dog lovers. Do we want them at shows? Should any Bulldog be exhibited when the temperature soars? Who is going to protect dogs at shows from the less caring side of human nature? 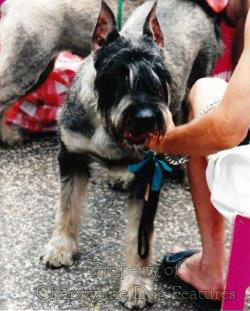 Did the two Schnauzers which died at the World Show not teach us something? This whole question of dog welfare at shows is steadily becoming an issue of some importance. It is neither in the best interests of dogs nor the many good exhibitors for direct or indirect cruelty just to be forgotten after each show. The desperate Bulldog, panting literally for dear life in Vienna, is still in my thoughts. It was exhibited by an idiot, which is not yet against the law. It was exhibited by a cruel idiot, which could turn out to be against the law and that is worth a second glance. If national shows aim to achieve national standards then world shows should aim for world standards, both in exhibits and exhibitors. It would be timely for our own Kennel Club to take the strongest lead in such a matter and show that we really do aim to achieve for ourselves and our dogs genuinely world class dog shows. We have no right to preach animal welfare on the world stage to countries like Taiwan, Japan and Indonesia if we tolerate dogs dying at shows with a shrug and the view that it's a matter for individuals. The days too when we can run our domestic circuit of shows and take little official interest in international shows are drawing to a close. The cross-border exhibiting of dogs is coming on apace, a step faster than our shedding of outdated quarantine laws, now little more than legitimising a protection racket. We should be at the heart of such activity not interested observers. The mother kennel club and the nation which created more breeds of pure-bred dogs than any other must be key players not uninvolved spectators. Will we wake up in time?